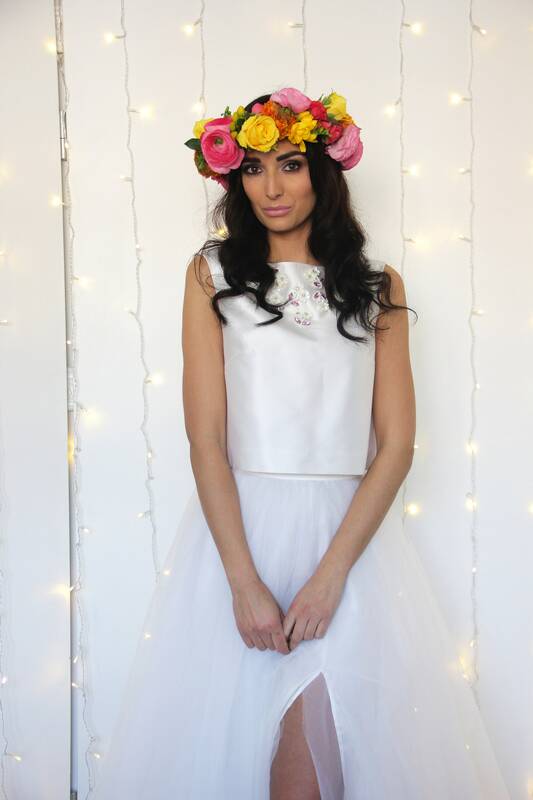 MILLY is a bridal crop top for romantic brides who look for an unconventional wedding dress but also a crop top for bridesmaids. 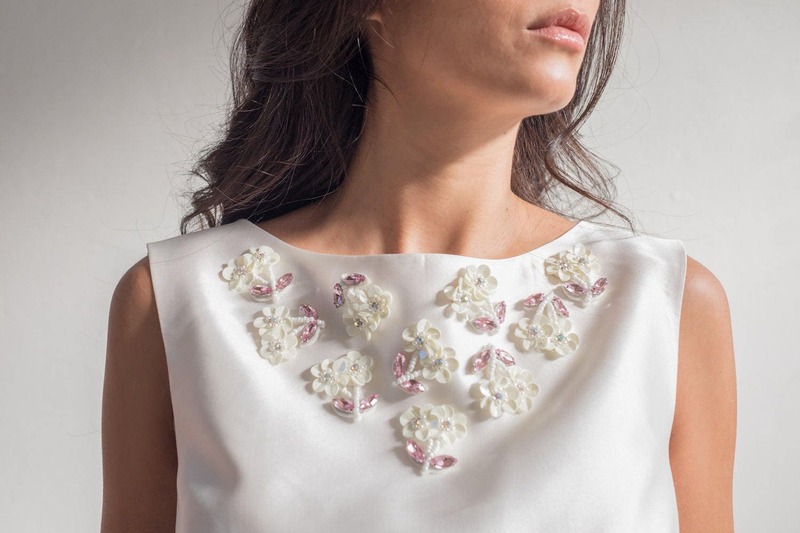 A fine ivory silk top with a classical A line, created using high quality pure silk mikado from Como (Italy) and embellished with hand-sewn beaded little flowers in milky white and pale pink shades, to shine in elegance during the best moments of the best day in your life. 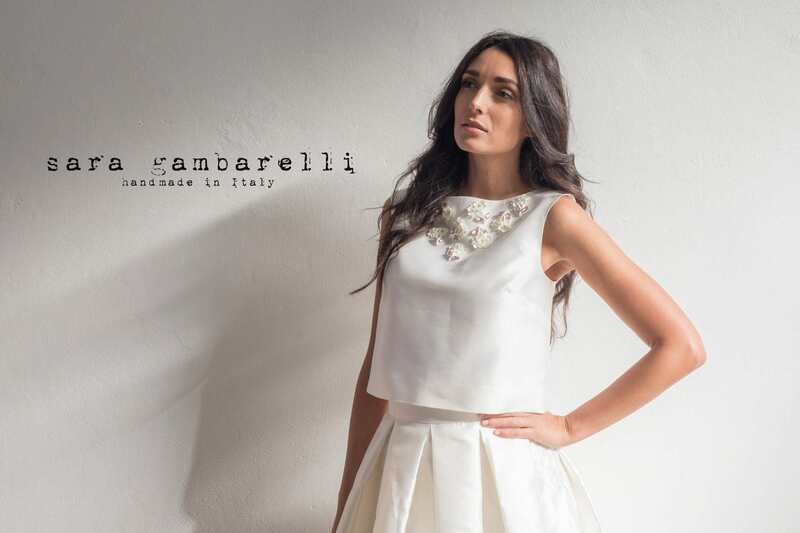 MILLY crop top is part of the new bridal collection called "PER SEMPRE" ("forever"). 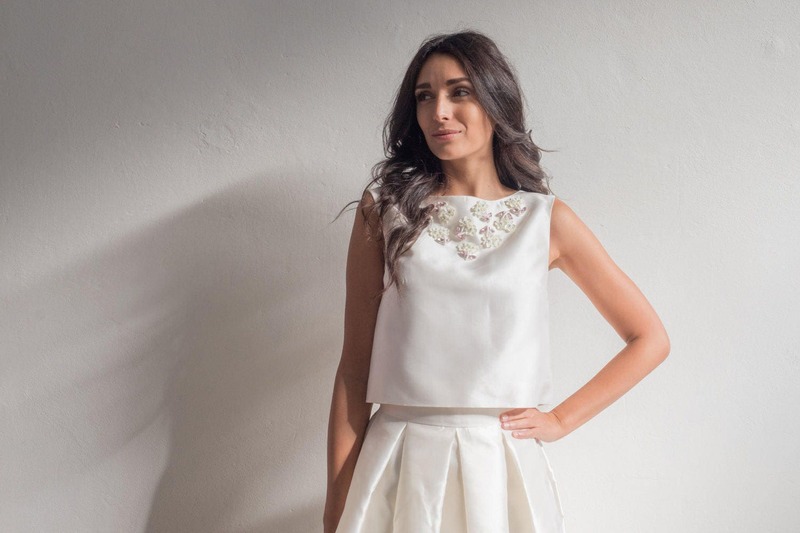 Match MILLY crop top with one of the bridal skirts of the collection to get your alternative bridal look. Pure silk mikado fabric. 100% silk. Made in Como, Italy. 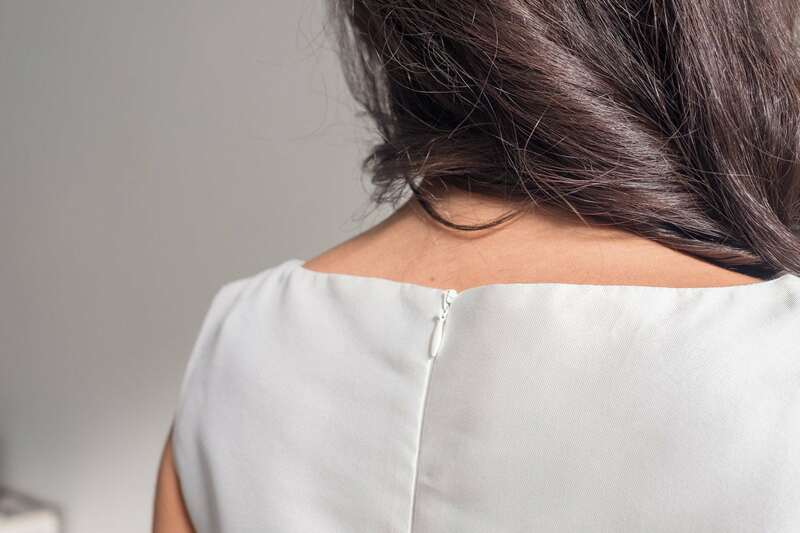 This top can be realized in ivory (as it is in pictures) or in pale pink. This item is made to order and CUSTOM MADE: if you want this top shorter, longer or with no embellishments, send me a convo. 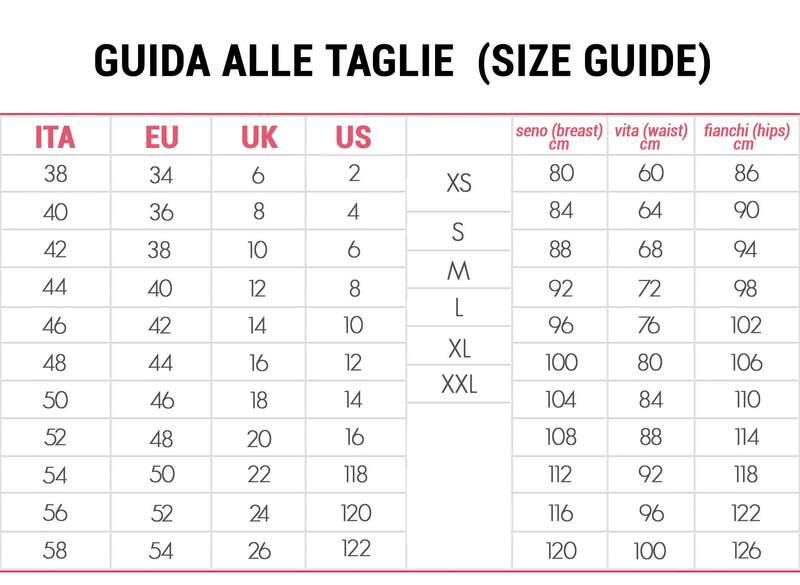 All the fabrics are 100% MADE IN ITALY products, carefully selected for you by me to guarantee an high quality and valuable product. PLEASE, INSERT A PHONE NUMBER AND A VALID ADDRESS FOR DELIVERY WHERE THE COURIER CAN FIND SOMEONE WHO COLLECTS THE PACKAGE: the shop will be not responsible for undelivered packages because of wrong or uncompleted addresses.